A popular activity for families in New York City is to visit Madame Tussauds wax museum, filled with dozens of your favorite celebrities in wax form. Some people prefer hunting alongside the paparazzi to catch photos of stars as they walk from Saks to their chauffeured vehicles but if you want a guaranteed photo with a few Hollywood A-listers, Madame Tussauds is the place to go. 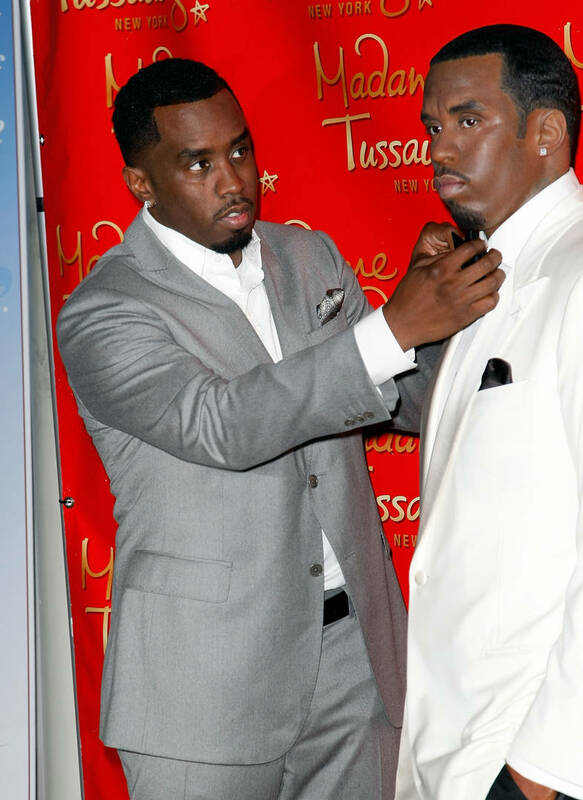 If ever you've wanted to attack a certain star without actually injuring them or winding up with assault charges, it's apparently also a popular place because, as reported by NBC News, Diddy's wax figure was absolutely destroyed, resulting in $300,000 in damages. The NYPD is currently searching for the man responsible for tackling and decapitating Puff Daddy's wax statue at the museum. Reports are saying that the man, who is currently unidentified, was wearing a black hooded jacket with blue jeans at the Times Square location. When he pulled up to Diddy's wax replica, the man apparently started to yell at it before knocking it over and stomping on its head. Damn man, what did Diddy ever do to you? Maybe it was Cassie in disguise? It is currently believed that the man intentionally went to Diddy's figure on the ninth floor before escaping the premises on foot. Diddy has not yet commented publicly on the incident.